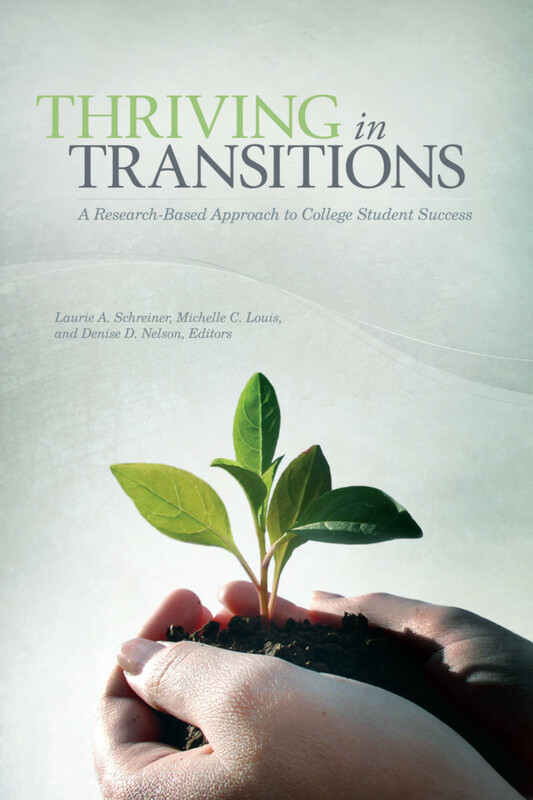 Thriving in Transitions: A Research-Based Approach to College Student Success represents a paradigm shift in the student success literature. Grounded in positive psychology, the thriving concept reframes the student success conversation by focusing on the characteristics amenable to change and that promote high levels of academic, interpersonal, and intrapersonal performance in the college environment. The authors contend that a focus on remediating student characteristics or merely encouraging specific behaviors is inadequate to promote success in college and beyond. The collection presents six research studies describing the characteristics that predict thriving in different groups of college students, including first-year students, transfer students, high-risk students, students of color, sophomores, and seniors, and offers recommendations for helping students thrive in college and life.